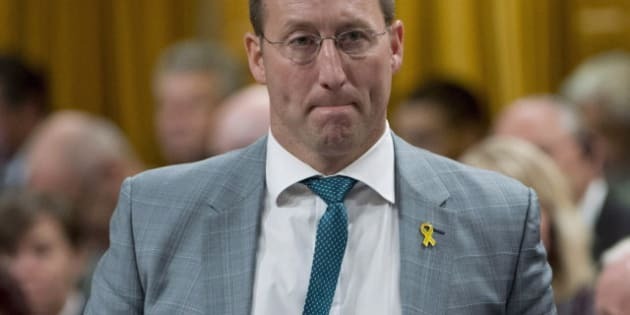 After more than a decade of waiting for a new search-and-rescue plane, the military today is barely a step closer to flying one — and, that, says Defence Minister Peter MacKay, is not his fault. "I will express to you ... no small degree of frustration that we have not been able to move this project forward," MacKay said at a news conference Tuesday in Ottawa. "What I can tell you is that we are pushing very hard to have this procurement proceed. We need the support of the other departments to do this." The program to buy new search planes was launched formally in 2002. The planes are to replace aging Buffalo aircraft that are loved by pilots for their slow, steady flight during searches, and their agility in tight quarters, like the mountains of western Canada. The new planes would also replace some of the older variants of C-130 Hercules aircraft used for search and rescue in central and northern Canada. In each case those planes are getting old and soon will be unserviceable. It's a reality that has MacKay clearly bothered. "Not unlike the Sea Kings, we have aging Buffalo aircraft that need to be replaced, that are difficult to get parts for, that require a high proportion of service hours for every hour of flight." Asked why Canada still hasn't gotten new planes, MacKay reiterated how important they are. "That's a good question," MacKay said. "It remains a top priority to have fixed-wing capability." The fixed-wing search-and-rescue (FWSAR) program was funded to the tune of about $1.3 billion in 2004. The first of about 15 planes was to be delivered by 2006. But more than six years later, the government has been unable to even get a bid out to tender. Sources tell CBC News that MacKay's first briefing as defence minister was about the fixed-wing search-and-rescue program. In fact, MacKay is now the sixth defence minister to have overseen the department with the fixed-wing program underway. But despite its age, the program lacks maturity. "We have been in the position, in the past, where it looked as if it was proceeding and we have, as you know, several times now, double-checked the operational requirements," MacKay said. In Canada, military procurements are managed by three departments: the Department of National Defence, Industry Canada and Public Works and Government Services Canada. DND's role is to set the requirements for a piece of equipment or vehicle, while Public Works manages the tender, bidding and purchase. Industry Canada's job is to manage the industrial and regional benefits package that ensures Canadian industry is engaged and derives benefits when the government spends large amounts of taxpayer cash. The fixed-wing search-and-rescue program is no different, MacKay said. He suggested it was the involvement of these other departments that had slowed things down: "It is, like most procurements ... a collaborative effort with other departments: Public Works. Industry Canada." But that perspective flies in the face of the commonly held view within the military aerospace industry. There, it's widely-accepted it was the Defence Department that had botched things by effectively rigging its requirements to favour just one possible contender, the Alenia C-27J Spartan. The whole process stalled after the favouritism allegations were made and the military's requirements were sent to the National Research Council for review. It agreed the military's specifications were far too specific and needed to be broadened in order to ensure competition. Although industry insiders agree that dealing with Public Works can be cumbersome and costly in terms of time, in this instance, they say, it's likely that it's still the Defence Department that's holding things up. Two other key contenders are Airbus Military's C-295, and Lockheed Martin's C-130 J Hercules — a plane that is already in Canada's fleet. Boeing is also planning to offer its hybrid helicopter/air plane the V-22 Osprey. There is a Canadian contender, too. Viking Air on Vancouver Island has bought the plans for the venerable de Havilland Buffalo. It's designed and trying to build a new upgraded variant suitable for 21st century operations.